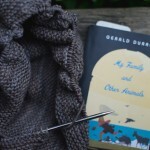 I finished clue one of my Tales from the Isle of Purbeck mystery knit along shawl yesterday. Two conclusions that I have reached are that I love the Hole & Sons yarn, and I love the pattern so far as well. Some of you asked what a mystery knit along is. This is only my second one. In a mystery knit along the designer releases one portion (called a clue!) of the pattern at a time. You have no idea going in what your finished object is going to look like. It really adds a fun twist to knitting! I don’t think it’s too late to join this one, because the first clue knit up pretty quickly. And really, if you get behind it doesn’t matter. I finished my last one way later than I planned, but still really enjoyed the process. I will likely get sidetracked or busy and fall behind on this one as well. No big deal! I had kind of an emotional week with several days to myself (a combination of amazing and hard), and found myself needing doses of Heather King. I focused on her reflections on the Gospel of Luke in this book, and they were just perfect for where my head and heart were. 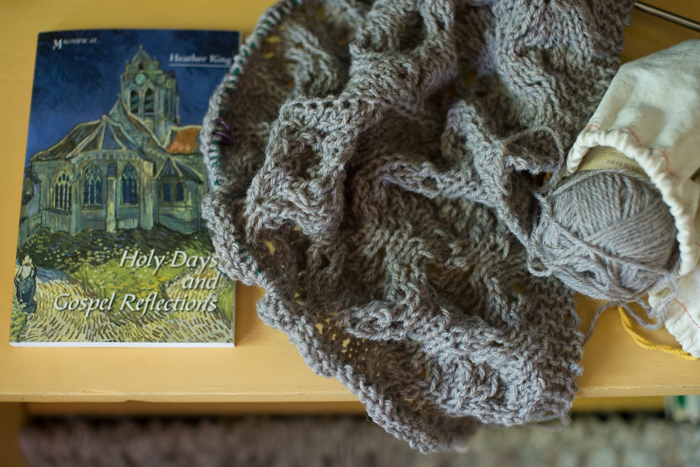 Beautiful knitting with Hole and Sons yarn. Ginny you always do a great job. I can’t wait to get my yarn. 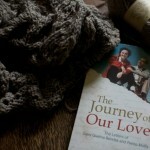 I started knitting the pattern with another wool yarn to make sure I wouldn’t be stuck on the pattern. I had to turn off the TV and sit all alone to concentrate. As soon as someone would come in the room and start talking I would mess up. Of course, I’m the one that can’t talk on my cell phone while grocery shopping. So when I get my good yarn, I’ve warned everyone I will be going into a room by myself. I think when one has a lot of time alone it can be both good and hard, I hear you. Glad for the book you had to read. Love to you. I can imagine that the weekend was hugely bitter sweet. Hope you were kind to yourself and that despite the hard bits things with Job are progressing as gently as possible for you both. Is the wool from Dorset, in the UK? Less than a couple of hours from me! Happy knitting. 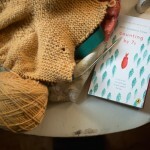 Your knitting is beautiful. 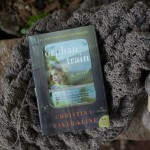 Yarn Along is such a gift to me, as I shared (probably yet again) on my post today. Thank you for faithfully hosting each week! Your knitting work looks wonderful, love the look of it! Hope you feel much better! 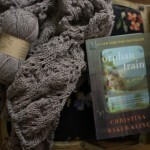 Beautiful knitting, the yarn looks delightful. 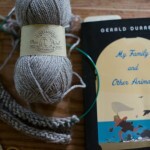 Thank you for hosting the yarn along.